No Tricks. Just a great deal! LOW MILES - 30,505! Heated Seats, Moonroof, iPod/MP3 Input, Bluetooth, CD Player, AUTO-DIMMING MIRROR. EX trim. PRICE DROP FROM $15,795, PRICED TO MOVE $800 below NADA Retail!, EPA 36 MPG Hwy/25 MPG City! READ MORE! KEY FEATURES INCLUDE Satellite Radio, iPod/MP3 Input, Bluetooth, CD Player, Aluminum Wheels Rear Spoiler, MP3 Player, Remote Trunk Release, Steering Wheel Controls, Child Safety Locks. OPTION PACKAGES PREMIUM PACKAGE: Power Sunroof, Door Handle Pocket Light, Perimeter Approach Lighting Under o/s mirror, Heated Steering Wheel, Push-Button Start w/Smart Key, Auto-Dimming Rear-View Mirror w/HomeLink, Driver's Seat w/2 Memory Presets 10-way power, Ventilated Driver Seat, Heated Rear Seats Bottom, Immobilizer, 10-Way Power Adjustable Driver's Seat, Heated Front Seats, AUTO-DIMMING MIRROR: compass and HomeLink. EXCELLENT VALUE Reduced from $15,795. This Forte is priced $800 below NADA Retail. Approx. Original Base Sticker Price: $19,400*. BUY FROM AN AWARD WINNING DEALER Welcome to Old Saybrook Hyundai! Located in Old Saybrook, CT, Old Saybrook Hyundai is proud to be one of the premier dealerships in the area. If you are looking for a Quality new Hyundai or a Quality pre-owned Hyundai in Branford, New Haven, Middletown, or the surrounding areas, we are the shorelines newest Hyundai dealer. From the moment you walk into our showroom, you'll know our commitment to Quality and Customer Service is second to none. Pricing analysis performed on 4/24/2019. Fuel economy calculations based on original manufacturer data for trim engine configuration. Please confirm the accuracy of the included equipment by calling us prior to purchase. PRICE DROP FROM $21,900, EPA 42 MPG Hwy/32 MPG City!, $1,000 below Kelley Blue Book! Honda Certified, Excellent Condition, LOW MILES - 19,760! Sunroof, Heated Seats, Remote Engine Start, Onboard Communications System, Dual Zone A/C KEY FEATURES INCLUDE Sunroof, Heated Driver Seat, Back-Up Camera, Turbocharged, Satellite Radio, iPod/MP3 Input, Onboard Communications System, Aluminum Wheels, Remote Engine Start, Dual Zone A/C, Smart Device Integration, Heated Seats. Rear Spoiler, MP3 Player, Keyless Entry, Steering Wheel Controls, Child Safety Locks. Honda EX-T with Crystal Black Pearl exterior and Black interior features a 4 Cylinder Engine with 174 HP at 6000 RPM*. Non-Smoker vehicle, Clean CARFAX report! EXPERTS CONCLUDE An excellent all-arounder, the newest Civic drives well no matter which version you pick. Out on the highway, the Civic offers a composed ride quality that doesn't get overly floaty or harsh. No matter how you look at it, the 2017 Honda Civic is one of the best cars in its class. -Edmunds.com. Great Gas Mileage: 42 MPG Hwy. AFFORDABLE Reduced from $21,900. This Civic Sedan is priced $1,000 below Kelley Blue Book. PURCHASE WITH CONFIDENCE AutoCheck One Owner Balance of original 7-year/100,000-Mile Powertrain Warranty, Additional 1-year/12,000-mile Non-Powertrain Warranty, Vehicle History Report, NO Deductible, 182-Point Inspection and Reconditioning, 24 Hour Roadside Assistance includes, towing, lock-out assistance, tire change and fuel delivery, SiriusXM free three-month trial period on eligible factory equipped vehicles OUR OFFERINGS All preowned vehicles are covered by the Lorensen Advantage Pricing analysis performed on 4/18/2019. Horsepower calculations based on trim engine configuration. Fuel economy calculations based on original manufacturer data for trim engine configuration. Please confirm the accuracy of the included equipment by calling us prior to purchase. No Tricks. Just a great deal! Clean, All New Tires. Hyundai Certified, ONLY 42,557 Miles! Serviced here, Non-Smoker vehicle. Navigation, Heated Leather Seats, Keyless Start. PRICE DROP FROM $29,375, $6,500 below NADA Retail! SEE MORE! KEY FEATURES INCLUDE Leather Seats, All Wheel Drive, Heated Driver Seat, Heated Rear Seat, Back-Up Camera, Aluminum Wheels, Keyless Start, Heated Seats, Heated Leather Seats Keyless Entry, Steering Wheel Controls, Child Safety Locks, Heated Mirrors, Electronic Stability Control. OPTION PACKAGES OPTION GROUP 04 Ultimate Package 04, Full-Color Heads-Up Display, Genuine Matte Finish Wood Trim, center console, dash and doors, Genuine Aluminum Interior Accents, center stack and TGS surround, Radio: AM/FM/SiriusXM/CD/HD/DVD/MP3 Audio System, Lexicon Discrete Logic 7 surround sound system w/17 high efficiency speakers, Lexicon 12-channel digital external amplifier, speed-sensing volume control, iPod/USB and auxiliary input jacks, Bluetooth hands-free phone and audio streaming, SiriusXM Travel Link, Ultimate navigation system w/9.2 HD touchscreen display/integrated apps/audio streaming and Gen 2 BlueLink w/available POI search & Local Search powered by Google (90-day trial), Power Trunk Lid, hands-free trunk opener, Dual Mode HVAC and CO2 Sensor. Serviced here, Non-Smoker vehicle, Originally bought here WHY BUY FROM US Welcome to Old Saybrook Hyundai! Located in Old Saybrook, CT, Old Saybrook Hyundai is proud to be one of the premier dealerships in the area. If you are looking for a Quality new Hyundai or a Quality pre-owned Hyundai in Branford, New Haven, Middletown, or the surrounding areas, we are the shorelines newest Hyundai dealer. From the moment you walk into our showroom, you'll know our commitment to Quality and Customer Service is second to none. Pricing analysis performed on 4/24/2019. Horsepower calculations based on trim engine configuration. Please confirm the accuracy of the included equipment by calling us prior to purchase. Extra Clean, GREAT MILES 40,497! JUST REPRICED FROM $26,900, FUEL EFFICIENT 28 MPG Hwy/19 MPG City! Sunroof, Heated Seats, iPod/MP3 Input, Satellite Radio, Keyless Start, Bluetooth, All Wheel Drive, Alloy Wheels, Power Liftgate KEY FEATURES INCLUDE Sunroof, All Wheel Drive, Power Liftgate, Heated Driver Seat, Back-Up Camera, Premium Sound System, Satellite Radio, iPod/MP3 Input, Bluetooth, Aluminum Wheels, Keyless Start, Dual Zone A/C, Heated Seats. Rear Spoiler, MP3 Player, Privacy Glass, Keyless Entry, Remote Trunk Release. Acura Tech Pkg with Slate Silver Metallic exterior and Ebony interior features a V6 Cylinder Engine with 279 HP at 6200 RPM*. Non-Smoker vehicle, 4 New Tires. EXPERTS ARE SAYING Edmunds.com explains Ample power, strong fuel economy and outstanding rear legroom make the 2016 Acura RDX a solid choice for a premium small crossover.. Great Gas Mileage: 28 MPG Hwy. AFFORDABILITY AutoCheck One Owner Reduced from $26,900. Approx. Original Base Sticker Price: $40,600*. 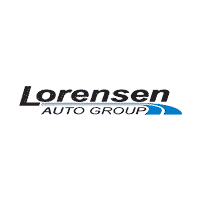 WHO WE ARE All preowned vehicles are covered by the Lorensen Advantage, including extended warranties and free services. For more information go to www.lorensen.com/lorensen-advantage. Pricing analysis performed on 4/23/2019. Horsepower calculations based on trim engine configuration. Fuel economy calculations based on original manufacturer data for trim engine configuration. Please confirm the accuracy of the included equipment by calling us prior to purchase. No Tricks. Just a great deal! Hyundai Certified, Extra Clean, ONLY 21,395 Miles! Heated Leather Seats, Navigation, iPod/MP3 Input, Satellite Radio, CD Player, Alloy Wheels. REDUCED FROM $30,175!, $4,000 below NADA Retail! 3.8L trim READ MORE! 10-Year/ 100,000 mile Powertrain Limited Warranty , 24-Hour Roadside Assistance for 10-Years/Unlimited miles, 150-Point Inspection and Reconditioning KEY FEATURES INCLUDE Leather Seats, Navigation, All Wheel Drive, Heated Rear Seat, Back-Up Camera, Satellite Radio, iPod/MP3 Input, CD Player, Onboard Communications System, Aluminum Wheels, Keyless Start, Dual Zone A/C, Heated Leather Seats. MP3 Player OPTION PACKAGES OPTION GROUP 03 Technology Package 03, Lane Departure Warning System (LDWS), Automatic Emergency Braking (AEB), sensor fusion technology, High Beam Assist, Pre-Safety Seatbelt, Front & Rear Parking Assistance System, 4 bodycolor sensors in front and rear bumpers, Haptic Feedback Steering Wheel, Power Heated & Cooled Front Bucket Seats, 16-way power driver's seat w/seat cushion extender and side bolster, 12-way power front passenger seat, 4-way power lumbar, seatback pockets and adjustable anti-whiplash front head restraints, Electronic Parking Brake w/Automatic Vehicle Hold, 7 TFT LCD Cluster Display, Lane Keep Assist, Smart Cruise Control, full stop/start capability. VISIT US TODAY Welcome to Old Saybrook Hyundai! Located in Old Saybrook, CT, Old Saybrook Hyundai is proud to be one of the premier dealerships in the area. If you are looking for a Quality new Hyundai or a Quality pre-owned Hyundai in Branford, New Haven, Middletown, or the surrounding areas, we are the shorelines newest Hyundai dealer. From the moment you walk into our showroom, you'll know our commitment to Quality and Customer Service is second to none. Pricing analysis performed on 4/24/2019. Horsepower calculations based on trim engine configuration. Please confirm the accuracy of the included equipment by calling us prior to purchase. REDUCED FROM $28,408!, $1,500 below NADA Retail!, FUEL EFFICIENT 28 MPG Hwy/19 MPG City! Acura Certified, GREAT MILES 38,230! Heated Seats, Moonroof, iPod/MP3 Input, Satellite Radio, Keyless Start, Bluetooth, All Wheel Drive AND MORE! KEY FEATURES INCLUDE Sunroof, All Wheel Drive, Power Liftgate, Heated Driver Seat, Back-Up Camera, Premium Sound System, Satellite Radio, iPod/MP3 Input, Bluetooth, Aluminum Wheels, Keyless Start, Dual Zone A/C, Heated Seats Rear Spoiler, MP3 Player, Privacy Glass, Keyless Entry, Remote Trunk Release. Acura Tech Pkg with White Diamond Pearl exterior and Parchment interior features a V6 Cylinder Engine with 279 HP at 6200 RPM*. EXPERTS CONCLUDE Edmunds.com's review says Ample power, strong fuel economy and outstanding rear legroom make the 2016 Acura RDX a solid choice for a premium small crossover.. Great Gas Mileage: 28 MPG Hwy. AFFORDABLE Reduced from $28,408. This RDX is priced $1,500 below NADA Retail. Approx. Original Base Sticker Price: $40,600*. BUY WITH CONFIDENCE AutoCheck One Owner Balance of original 7-year/100,000-Mile Powertrain Warranty, Additional 1-year/12,000-mile Non-Powertrain Warranty, 24-Hour Roadside Assistance, Trip-Interruption Services, 182 point inspection WHO WE ARE All preowned vehicles are covered by the Lorensen Advantage, including extended warranties and free services. For more information go to www.lorensen.com/lorensen-advantage. Pricing analysis performed on 4/24/2019. Horsepower calculations based on trim engine configuration. Fuel economy calculations based on original manufacturer data for trim engine configuration. Please confirm the accuracy of the included equipment by calling us prior to purchase. Big Horn trim. Excellent Condition, Ram Certified, ONLY 8,260 Miles! REDUCED FROM $41,491!, EPA 21 MPG Hwy/15 MPG City!, $1,200 below NADA Retail! NAV, Heated Seats, Tow Hitch, iPod/MP3 Input, Alloy Wheels, Back-Up Camera, 4x4. AND MORE! MP3 Player OPTION PACKAGES QUICK ORDER PACKAGE 26S BIG HORN Engine: 5.7L V8 HEMI MDS VVT, Transmission: 8-Speed Automatic (8HP70), Steering Wheel Mounted Audio Controls, Sun Visors w/Illuminated Vanity Mirrors, Glove Box Lamp, Full Size Temporary Use Spare Tire, Underhood Lamp, Big Horn Badge, Leather Wrapped Steering Wheel, Bright/Bright Billets Grille, GVWR: 6,900 lbs, LED Bed Lighting, Overhead Console w/Garage Door Opener, Universal Garage Door Opener, Dual Rear Exhaust w/Bright Tips, Electroluminescent Instrument Cluster, Exterior Mirrors Courtesy Lamps, Auto Dim Exterior Mirrors, Big Horn Regional Package, Exterior Mirrors w/Supplemental Signals, Rear Dome w/On/Off Switch Lamp, Power Heated Fold-Away Mirrors, Electric Shift On Demand Transfer Case, Air Conditioning ATC w/Dual Zone Control, Rear View Auto Dim, ENGINE: 5.7L V8 HEMI MDS VVT Electronically Controlled Throttle, Hemi Badge, Next Generation Engine Controller, Heavy Duty Engine Cooling, Heavy Duty Transmission Oil Cooler, Engine Oil Heat Exchanger, RADIO: UCONNECT 3C NAV W/8.4 DISPLAY SIRIUSXM Travel Link, (Registration Required), HD Radio, For Details Visit DriveUconnect.com, SIRIUSXM Satellite Radio No satellite coverage in Hawaii or Alaska, GPS Navigation, Uconnect Access, 8.4 Touchscreen Display, Uconnect Access, SIRIUSXM Traffic, 1 Year Sirius Real Time Traffic Service, WHEEL TO WHEEL SIDE STEPS, HEATED SEATS & WHEEL GROUP Air Conditioning ATC w/Dual Zone Control, Heated Steering Wheel, Heated Front Seats, TRANSMISSION: 8-SPEED AUTOMATIC (8HP70) 17 Aluminum Spare Wheel. Pricing analysis performed on 4/24/2019. Horsepower calculations based on trim engine configuration. Fuel economy calculations based on original manufacturer data for trim engine configuration. Please confirm the accuracy of the included equipment by calling us prior to purchase. PRICE DROP FROM $40,491, PRICED TO MOVE $5,100 below NADA Retail! Excellent Condition, Jeep Certified, ONLY 3,357 Miles! Keyless Start, Bluetooth, iPod/MP3 Input, Smart Device Integration, Brake Actuated Limited Slip Differential READ MORE! KEY FEATURES INCLUDE 4x4, Back-Up Camera, Running Boards, Satellite Radio, iPod/MP3 Input, Bluetooth, Aluminum Wheels, Keyless Start, Dual Zone A/C, Brake Actuated Limited Slip Differential, Smart Device Integration MP3 Player, Keyless Entry, Privacy Glass, Steering Wheel Controls, Child Safety Locks. OPTION PACKAGES TRANSMISSION: 8-SPEED AUTOMATIC (850RE) Dana M200 Rear Axle, Hill Descent Control, Tip Start, ENGINE: 3.6L V6 24V VVT UPG I W/ESS (STD). Jeep Sahara with Billet Silver Metallic Clearcoat exterior and Black interior features a V6 Cylinder Engine with 285 HP at 6400 RPM*. Clean CARFAX report! VEHICLE REVIEWS Edmunds.com's review says Now made of aluminum, the doors are much easier to lift off, especially if you roll down the window so you can reach through and pull the door free with the new handhold under the armrest.. A GREAT TIME TO BUY Reduced from $40,491. This All-New Wrangler Unlimited is priced $5,100 below NADA Retail. BUY WITH CONFIDENCE 125-Point Inspection and Reconditioning, Rental Car Allowance, Lifetime Certified Warranty Upgrades Available, 24-Hour Roadside Assistance, 24-Hour Towing, 3-Month/3,000-Mile Maximum Care Coverage, Carfax Vehicle History Report, 7-Year/100,000-Mile Powertrain Limited warranty, Introductory 3-month subscription to SiriusXM® Satellite Radio VISIT US TODAY All preowned vehicles are covered by the Lorensen Advantage, including extended warranties and free services. For more information go to www.lorensen.com/lorensen-advantage. Pricing analysis performed on 4/24/2019. Horsepower calculations based on trim engine configuration. Please confirm the accuracy of the included equipment by calling us prior to purchase.